I've grown an even bigger love and appreciation for screenplay this year, So, I thought I'd share with you all my top films and TV shows of 2015. After seeing the trailer, I wanted to read the book, and after reading the book, I wanted to see the movie. The book was so cleverly written with somehow realistic characters that I had very high expectations for the film. I was not disappointed at all. Yeah, it was different to the text, but that's the same with every movie based on a book. Greg, an awkward film fanatic, and his 'co-worker' Earl, become friends with Rachel who has been diagnosed with cancer. An odd story filled with painfully uncomfortable but hilarious situations and deep meaningful stuff told by an 'ordinary guy', the Me and Earl and the Dying Girl adaptation is heart warming and visually portrayed to perfection. There's a stunning one-shot of Greg talking to his mum, and the camera follows him all the way to his room and it is just perfect. 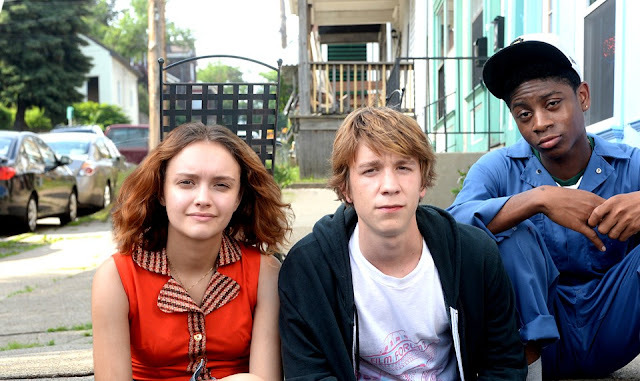 The casting is well done, as I love the actors, Olivia Cooke, Thomas Mann and RJ Cyler, who played the main three characters. This movie (and the book) really makes you think, and that's the best thing. Okay, okay, okay, please take me seriously, this is honestly a really good movie! Who cares if it's for kids; Disney films are ultimately for kids at heart. I was so excited to see Big Hero 6 for many reasons, some which included the fact a main character was a big fat marshmallow, and that Fall Out Boy had their song Immortals used in the soundtrack. The big fat marshmallow is actually an adorable robot doctor called Baymax created by the brother of the main protagonist, Hiro. 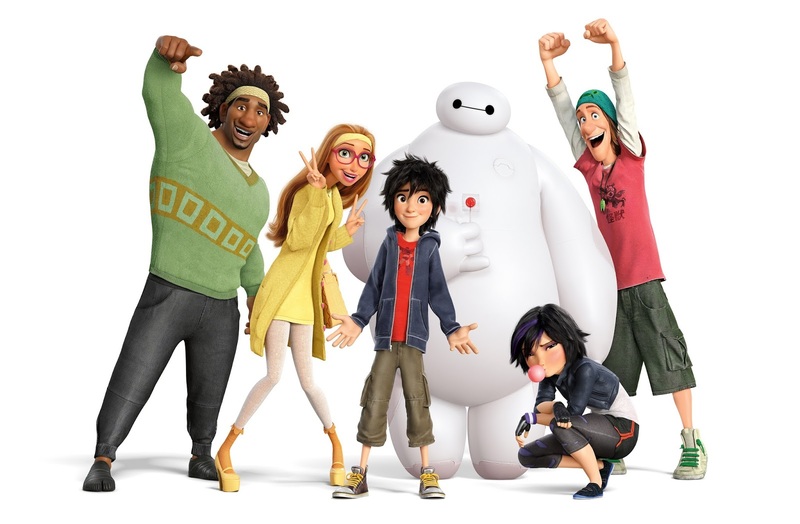 The film follows Hiro and Baymax as they form a superhero group to fight against evil. A cute, heart warming, tear jerking film with lovable characters (like Go Go who says "Woman Up!". Amazing), Big Hero 6 is one of my favourite Disney movies ever, and that's a big deal. It was the Best Animated Film of the Year in the Academy Awards, and is the only animated movie in my top five, so it must be great, eh? Based on the life of Stephen Hawking and his wife Jane, The Theory of Everything is directed, scripted and casted beautifully, with Eddie Redmayne winning an Oscar for his performance as the famous physicist. I think it was ideal I didn't know much about Stephen Hawking before watching this movie, other than he is a physicist with motor neurone disease; after, I had grown a lot of respect for him. We get to see his life in university before he was diagnosed, his relationship with Jane (played by Felicity Jones) as it grows and changes, his heart breaking time of getting to grips with his condition, and the heart warming things he achieves with Jane after accepting what had happened to him. 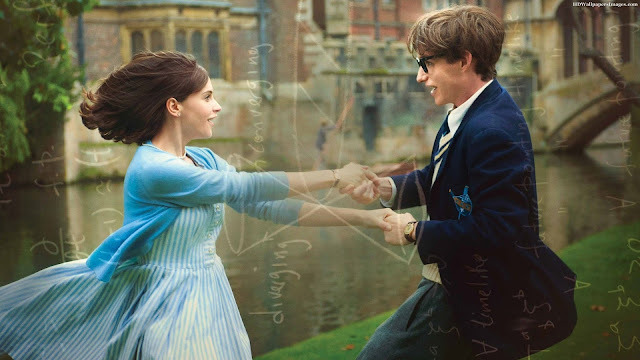 Eddie Redmayne was so terrific, he really did make me believe he was Stephen Hawking. Hawking went to Cambridge, so they filmed scenes there, and that was satisfying as I had visited the university a year ago and I loved being able to think in my head 'I've been there!'. The soundtrack and filmography is stunning, and I think everyone should see this film. Yes, I am a big Benedict Cumberbatch fan, and that was the main reason I wanted to see the movie, but my God is this film fantastic. 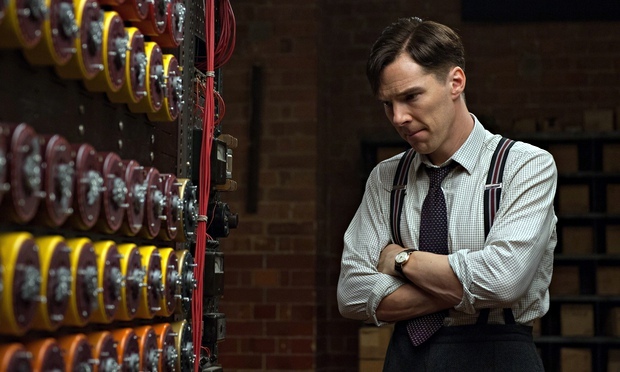 Again, like The Theory of Everything, I had almost no knowledge of Alan Turing, a mathematician and the main character of this film, who worked on cracking the Enigma code during World War II with other mathematicians. Oscar winner of best screenplay, this film, with yet more stunning filmography and a magic soundtrack, makes you think, and is almost a stab in the back when you see Turing's fate. Benedict Cumberbatch was the perfect casting for the odd, socially awkward man (much like Sherlock). I believe every human being should see this film to respect Alan Turing for his work, as he never got to, and never will, understand how much good he did. I have the DVD propped up on my shelf to remind me what a masterpiece this film is. Yes, I only saw this about two weeks ago and it is already my number one of 2015, but that's how amazing the seventh episode of Star Wars is. I was too excited for it for many reasons; first of all, the build up to the movie and the fact there was no storyline reveals at all was too much to handle; the fact there was so much hype for the film to be unlike the prequels was reassuring; Harrison Ford, Carrie Fisher and Mark Hamill were back, woah; and Daisy Ridley was already going to be my favourite actress, and Rey my favourite character, ever. Nothing was disappointing. Having grown up in a family that loved Star Wars and played the Lego Star Wars Xbox game, I was so thrilled for this movie unlike most of my friends. I went to the cinema with my sister and Dad on the 18th of December. We saw it in 3D, and the cinema even had special 3D glasses for it (that's how much a big deal the movie is, in case you didn't know). As soon as the movie started, my eyes were glued to the screen. JJ Abrams does a beautiful job of reviving the Star Wars universe. There are nostalgic elements of episode four, humorous realistic dialogue, unbelievably beautiful filmography, lots of action, incredible plot twists and the pace is fast and perfect. 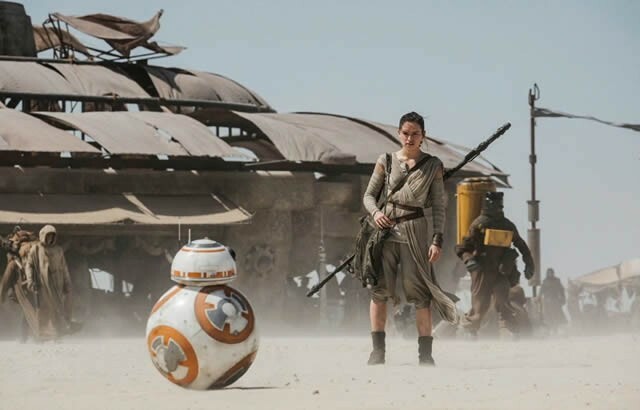 Jon Boyega and Daisy Ridley steal the show. I knew Rey would be my favourite character, I knew it! Even if you don't like Star Wars, I'd still suggest watching this movie as it is not just an outstanding Star Wars film, it's an outstanding film, on its own. I just have to include this little YouTube video of the The Force Awakens cast a cappella singing the theme tune of the franchise with Jimmy Fallon below. Please watch, it's golden. Now I didn't watch that many new shows in 2015 with Junior Cert exams and everything and generally just not having enough time, so there's only two TV shows (both on Netflix!). I watched this at the appropriate time, in the summer, and I suggest you do the same but it doesn't really matter. With my brother, Dad, and sister, I laughed uncontrollably watching Wet Hot (the nickname, apparently). The prequel TV show to the film from 2001, the Netflix series follows campers and staff on their first day at Camp Firewood in the summer of 1981. Yes, all eight episodes follows one day. With an all star cast (Paul Rudd, Amy Poehler, Bradley Cooper) who play a mix of staff and teenage volunteers, this hilariously random show will make you laugh from start to end. I'd recommend you watch this with friends or family, as many private jokes will form. My, oh my. BBC just do it right for me. First Sherlock, now this 50 year old sci-fi series (that BBC gives way more attention to!). 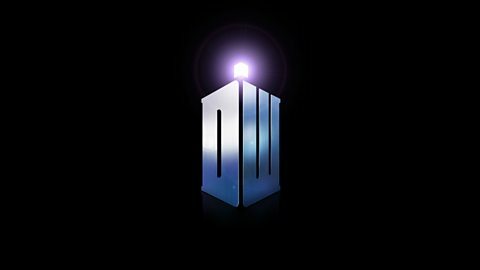 I began watching the revived series of Doctor Who in July, beginning with Christopher Eccleston as the Doctor in 2005, and now I'm at the sixth season with Matt Smith. 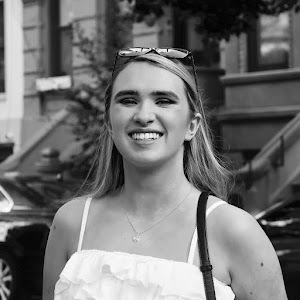 It's not just a sci-fi series with aliens and time travel to me anymore; it's much more than that. Doctor Who has made me cry uncontrollably lots over fictional characters. All of the people the Doctor befriends I connect to. There's humour, action, wonder, space, cute relationships and history; all I'd ever want in a TV show. The programme has actually taught me so much life lessons, which sounds lame but is true, and I haven't even caught up to the Peter Cipaldi era yet. It's my guilty pleasure, my fantasy world to escape to, and I am definitely a Whovian now. What were your favourite films and TV shows of the year? They are amazing movies! Never heard of Scorpion, I'll look into it! My favourite movies were Back To The Future 1,2 & 3, Big Hero 6 and Theory of Everything. I was obsessed with American Horror Story and watched season 1-4 (during my Junior Cert). I really want to see Me, Earl and the Dying Girl, it looks so good.